Great performance and small footprint ofCompact and efficient, the LBP6030w is designed to help save space and perform high-speed print jobs, with low energy consumption. Set up wireless printing effortlessly with the WPS button. *1 Legal refers to paper measuring 215.9 x 55.6mm (8.5 x 14 inches). *2 Check Here for the latest printer driver. *3 The latest drivers for Mac OS and Linux can be downloaded from www.jan-bd.com when available. *4 Tested in accordance to ISO 7779 and declared per ISO 9296. *5 “Inaudible” means each sound pressure level at bystander’s position is less than ISO 7779 absolute criteria. *6 Toner cartridge yield is in accordance with ISO / IEC 19752. 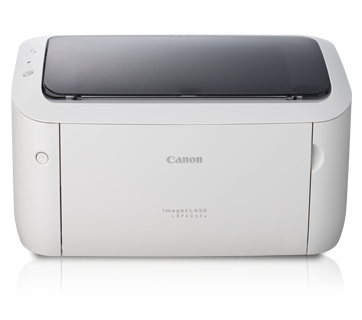 *7 Monthly Duty Cycle value provides a means of comparison for product robustness in relation to other Canon laser devices, and does not refer to actual maximum image output per month.